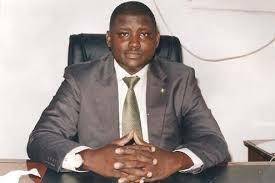 Just in: Buhari orders immediate disengagement of Maina from service – Royal Times of Nigeria. President Muhammadu Buhari has directed the immediate disengagement from service of Mr Abdulrasheed Maina, former chairman of the Presidential Task Force on Pension Reforms. Mr Femi Adesina, the President’s Special Adviser on Media and Publicity, announced this in a statement issued in Abuja on Monday. He also stated this on his twitter page, @FemiAdesina. He said the President’s directive was contained in a memo to the Head of the Civil Service of the Federation, Mrs Winifred Oyo-Ita. Adesina stated that the President equally demanded a full report of the circumstances of Maina’s recall and posting to the Ministry of Interior. According to the presidential aide, the report is to be submitted to the office of the Chief of Staff to the President, Mallam Abba Kyari, before the end of work today. PMB orders immediate disengagement of Mr Abdulrasheed Maina from service. Asks for full report on circumstances of his recall.